Now, readers of this blog will know that I am somewhat challenged in the “domestic goddess” department and I have to confess that, when it comes to cleaning products, my preference has always been for sprays and unguents which are nuclear powered and would strip the paintwork off the average family saloon car in under five minutes. 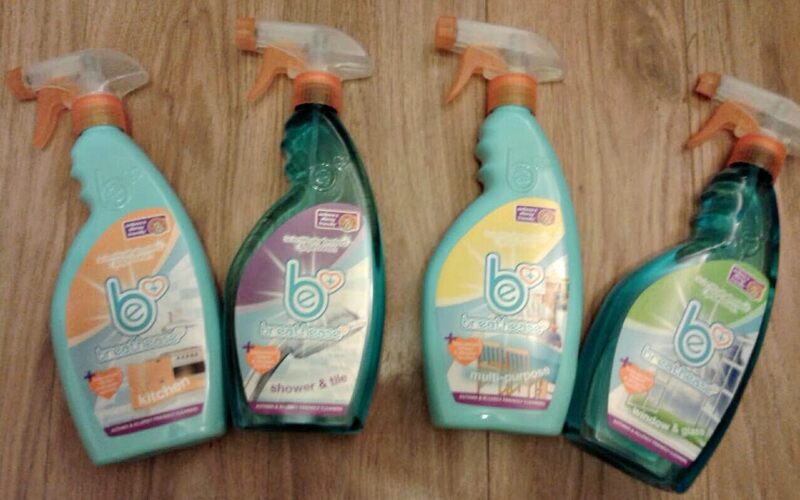 The Breathease Range, however, has been a bit of a revelation. Both my two children have had mild childhood eczema and I have never felt entirely comfortable having bleach-based products in the house. The Husband suffers from chronic hay fever or allergic rhinitis to the extent that any pet, with the possible exception of a goldfish, is out of the question. (At least, that’s the excuse we give to the kids!). It’s pretty miserable when you suffer from any allergy, isn’t it? The Breathease Range of products has been formulated with those who suffer from allergies or asthma and there are over 21 million people in the UK who do – that’s nearly one person in every other household. The range has been independently tested through extensive user trials with allergy and asthma sufferers and the results were impressive. 90% of 126 respondents reported improved respiratory effects versus their usual cleaner. This has led to Breathease being the first UK cleaner to have earned the Asthma and Allergy Friendly accreditation, supported by Asthma UK, the leading Asthma charity. The products are proven to remove surface allergens whilst ensuring that airborne allergens are minimised, and also remove dust mite, mould and pet allergens. The range comprises five products, four of which I was sent samples to test. The Kitchen Cleaner is suitable for use on cooker tops, sink and tiles and work surfaces and I found that it cut through grease on the hob with remarkable speed. 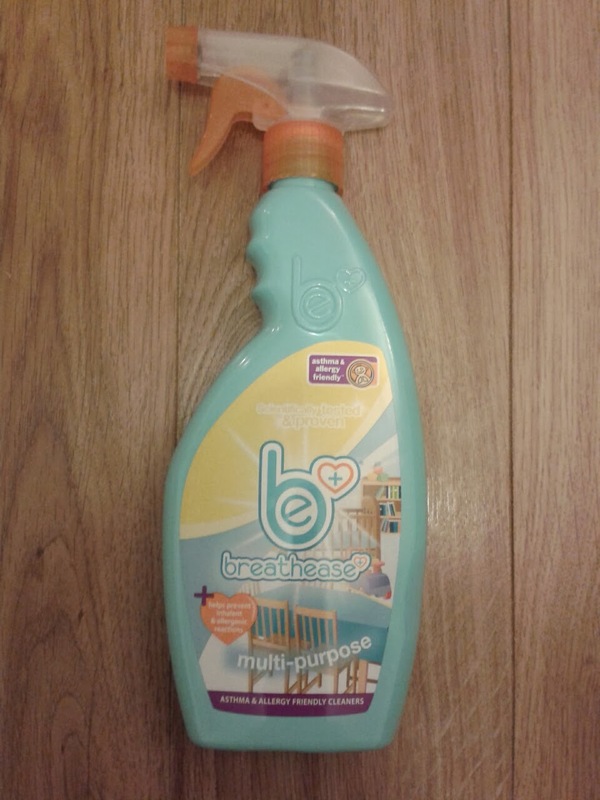 Particularly noticeable with all the Breathease products is a lovely fresh fragrance which both the kids commented on. The Breathease Shower & Tile Cleaner is suitable for use on shower doors/curtains, tiles and taps. It cut quickly through grime on the bathroom tiles (I’m not joking when I refer to our house as “Downton Shabby”) and left the sink nicely clean. The Multi-Purpose Cleaner does what it says on the, er, bottle It is ideal for cleaning children’s toys and rooms without the worry of triggering an allergy. Note that it is not suitable for wooden, painted or soft porous surfaces or items made of copper or brass. Lastly, I tested the Window & Glass Cleaner which made short shrift of yoghurt smeared mirrors and hand prints on glass doors. It performed just as well as my usual choice of window cleaner, Windolene, without the overpowering smell. I really liked these products which performed well and left a really fresh fragrance. I also found that my hands didn’t feel so rough whilst using them. We’ll certainly be buying these in future. 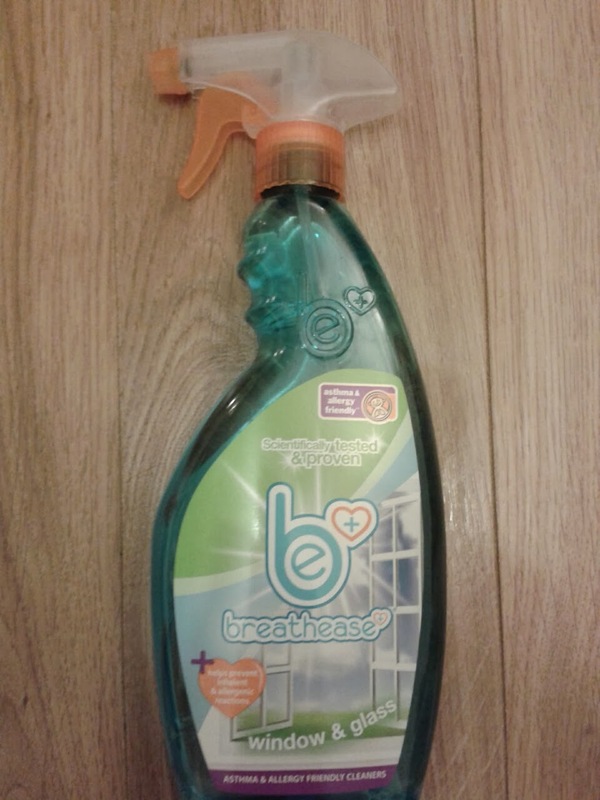 Further information: Breathease products are priced at £3 and are available exclusively at larger Tesco Stores. For more information about asthma, please visit www.asthma.org.uk. You can find more tips for dealing with allergies around the home in this post. "The Reluctant Hotel Inspector – The Grange City 5* Hotel – London"
"Review: Boing! Family Fun At Cardiff’s Sherman Theatre"
I like the sound of these! Hope you've managed to try these and are helping your husband! Thanks a lot for this awesome post. Glass Scratch Removal Service Keep up the good work. I’ll be coming back lots.I agree with most of the points you make within this content.